If DJ can stand tonight, he’ll play tonight. Meanwhile, over at River Ave Blues, Mike Axisa maps out the starting rotation for the rest of the year. "and there are only 20 games left to play,"
Yikes! There's always a part of me that hates it when the season ends, even if there is playoff baseball. I know what you mean. For me it means the long, bleak sports winter, otherwise known as eight months of nothing-much-but-hockey to watch. Brutal. My wife gets sad about the end of the season starting around the All Star Game. Funny part is that she loves winter and hates the summer heat. I'm too tense to think past the season but I know what you guys mean. 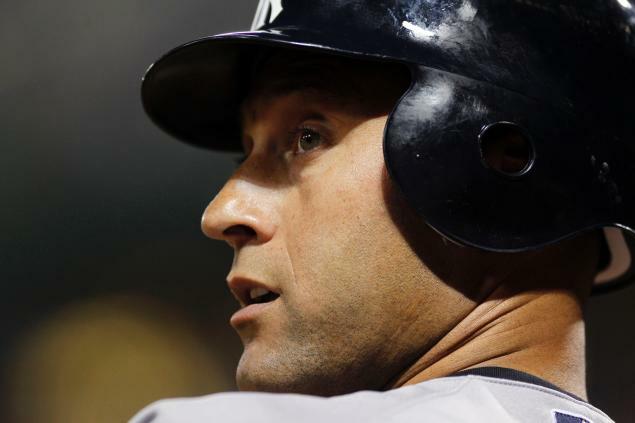 "Jetes could lose a leg and he would still drag his body out on to the field to play….and would still continue to lead the league in hits. Too bad not many athletes these days have a tenth of his heart."